Packing lunches and making bentos every day leaves me with a lot of bread scraps every week. What to do with them? I save them in a big gallon size Ziploc bag in the freezer! But this time around I had so many bread scraps I had enough for a casserole and some. I had a whole large bowl worth of bread scraps. Enough for another dish. I decided to simply make muffins with the left overs with a few changes to my original casserole recipe. 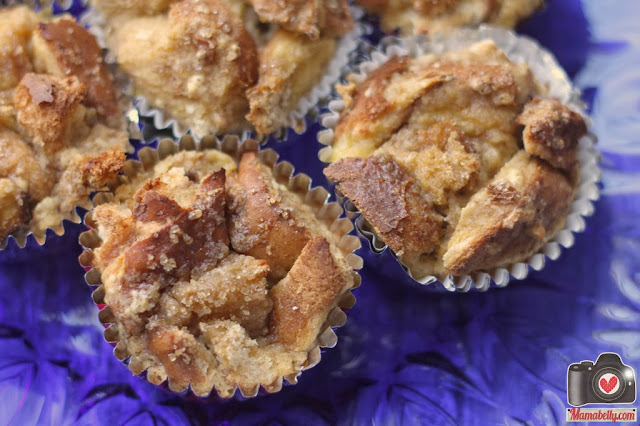 French Toast Muffins with Cinnamon Sugar were the result! A delicious way to re-purpose those bread left overs or a forgotten slightly stale loaf of bread in the back of your pantry! Rip or cut all bento bread scraps into same size small cubes. In large bowl mix eggs, milk, 2 tablespoons of vanilla sugar, and vanilla together. Then add 1/3 cup of pancake mix and mix well until only a few lumps are left. Carefully add the liquid to the bread cubes and coat well ( I use my hands to make sure it is evenly coated). Let bread mixture sit for one minute. 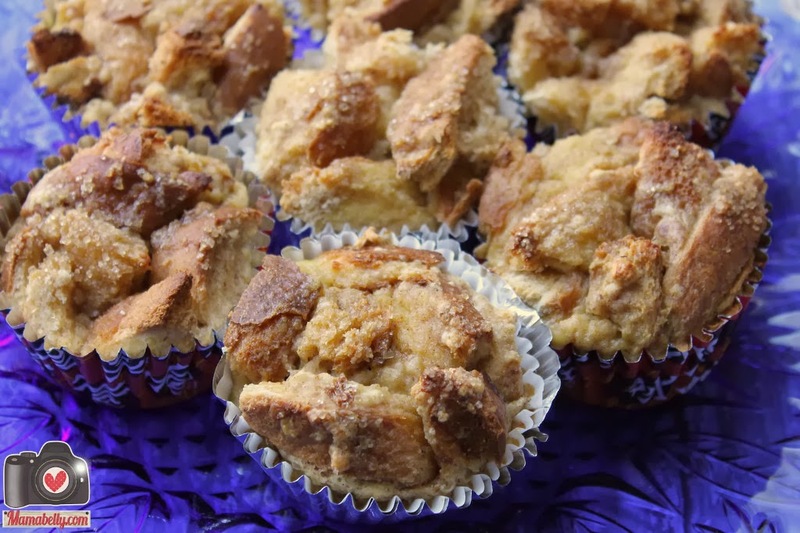 Spoon with a tablespoon into muffin cups. Fill about 3/4. DO NOT OVERFILL! They will rise! 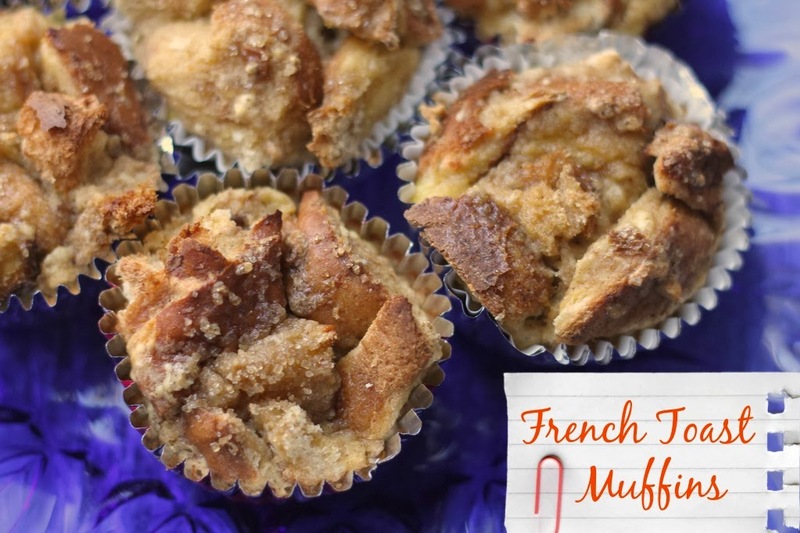 Sprinkle with cinnamon sugar to taste and add a small piece of butter on top if you like your french Toast muffins to be crispy on top (can be omitted). Bake at 400 degrees for about 15 - 20 minutes or until brown and crispy. 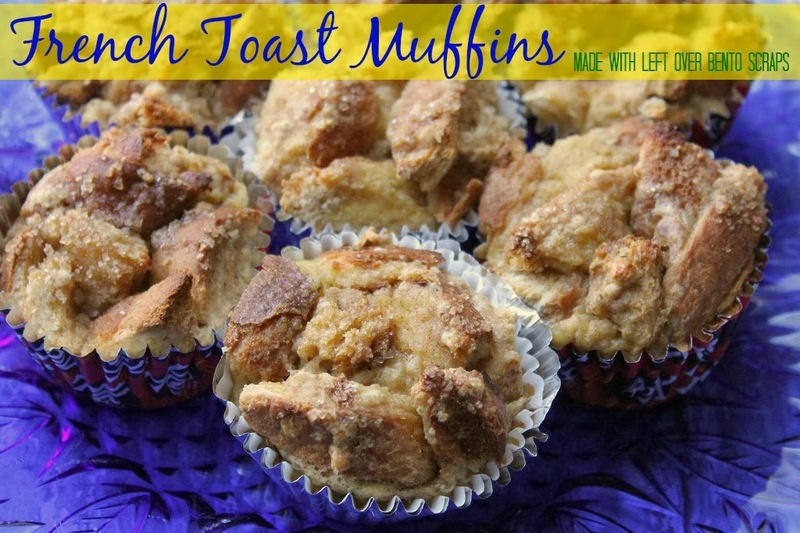 I serve mine with applesauce or fruit (or even a drizzle or maple syrup). These look simply delicious! I must try them!! Thank you! Hope you enjoy them! Oh my goodness, these look amazing! Thanks for sharing! Welcome! Hope she enjoys the muffins!